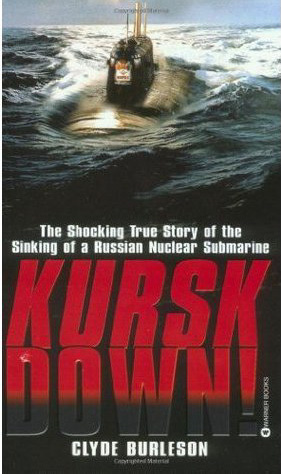 Clyde W. Burleson - KURSK DOWN! Black, sleek, and state of the art, the nuclear submarine Kursk was the pride of the Russian fleet. But on August 12, 2000, while on maneuvers in the Barents Sea, the Kursk, hailed as "unsinkable," was blown apart by mysterious explosions. She went down hard with a crew of 118 men trapped inside. For government and military brass far from the scene, the art of spin became more important than the need to save lives. For those on board, the hunger to live summoned astonishing reserves of discipline and heroism. For the rescuers poised at the surface, the devotion to their mission proved more powerful than the savagery of the elements and time itself.